I have been playing around the the Raspberry Pi for a while now, doing basic projects to get the hang of it. These projects have been very simple so far, not even worth blogging about them, but I found myself recreating the same (or very similar) environment on the RPi every time I started a new project. The reason I start from scratch every time is to learn all the special settings/setups a specific project requires. My RPi used for development. I, however, found, that I can't remember ever step and I keep researching the same thing on the internet over and over again. So I decided to create this article to serve me (and possible other beginners) as a collection of setups steps for different kinds of projects. This article may grow in the future as I progress, so I expect it to contain some advanced stuff as well later on. 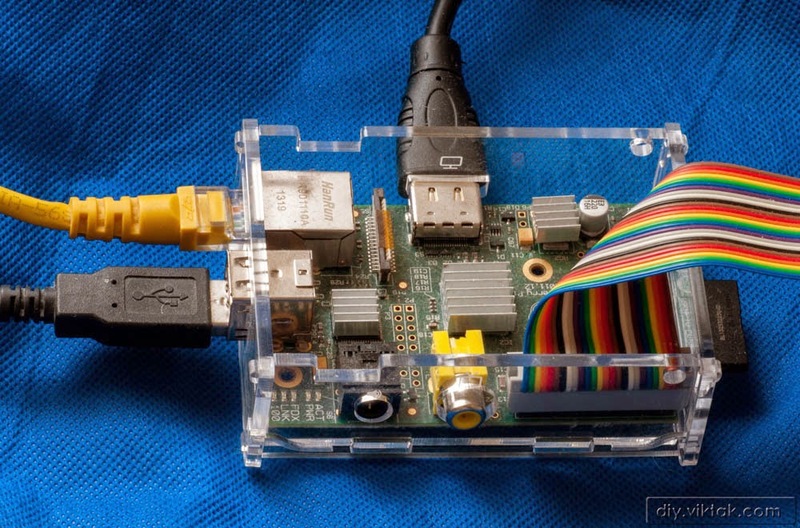 I always start with the latest Raspbian (Debian Wheezy) image found at the RPi downloads page. For the very first steps, until the SSH connection is established from my desktop PC to the RPi, I use a rig I created from a broken laptop and a small wireless keyboard. Hostname: I tend to use the same one at the beginning. When it becomes a full blown, permanent device, then I come back here and I give it a specific name. Memory split: Since I normally use a headless system, i.e. no graphical desktop is used, I assign as little to the GPU as possible. I usually go with 16 - the smallest recommended setting. If you have a headless system, then you may need to go to the DHCP server and see the connected devices' list. Or you can use a network discovery app, like Fing to show you all the properties of all the connected devices. Once the system is up and running again, it will use the new, static IP address.